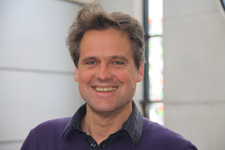 Since 2002 I am a full professor in molecular pharmacology at the department of neuroscience and pharmacology of the University Medical Center Utrecht and my research is embedded in the Rudolf Magnus Institute of Neuroscience (http://www.rudolfmagnus.nl/). We aim at unraveling the genetic and neural pathways underlying eating disorders and obesity. Feeding behavior is a complex behavior that serves to control energy balance of an organism. Homeostatic control over energy balance is challenged by higher brain centers that drive feeding of palatable foods or inhibit feeding in order to loose weight. These disruptions may contribute to development of eating disorders and obesity. Several animal models are used in which anorectic behavior (including hyperactivity) is mimicked or in which animals become obese following exposure to palatable choice diets. Using viral vector technology, genes are either overexpressed or knocked down (RNAi) in these animals, in order to unravel the role of genes in feeding behavior and energy balance. Results from animal experiments are translated into clinical relevance by using a human genetics approach. DNA from eating disorders patients and epidemiological cohorts is available with extensive phenotypic information. This allows to determine genotype-phenotype relationships in humans. Since 2010 I also hold a research position at Rintveld Eating disorders which ensures the translational character of the eating disorder research line. Does activation of midbrain dopamine neurons promote or reduce feeding? Genetic predisposition to obesity affects behavioural traits including food reward and anxiety-like behaviour in rats.